Chicken Soup for the Soul, 9781611599039, 416pp. Attitude is everything. And this book will uplift and inspire readers with its stories about the power of positive thinking! In bad times, and good, readers will be encouraged to keep a positive attitude. 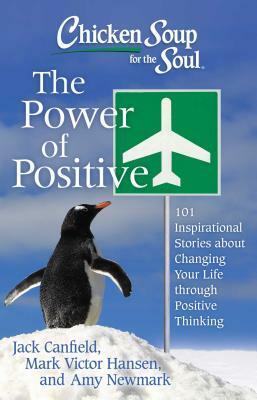 Chicken Soup for the Soul: The Power of Positive will inspire readers with its 101 success stories about the power of a positive attitude. Contributors share how they changed their lives, solved problems, or overcame challenges through a positive attitude, counting their blessings, or other epiphanies, motivating and uplifting readers.